Supporting innovation, competitiveness and sustainability in agriculture and forestry. The European Innovation Partnership for Agriculture Productivity and Sustainability (EIP-AGRI) is an exciting and novel approach to research and innovation. 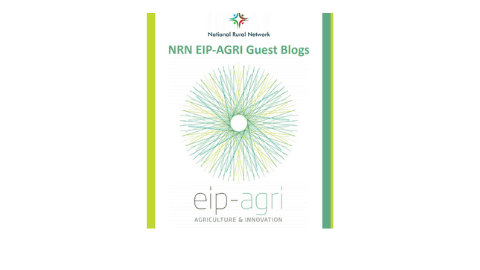 EIP-AGRI is one of five European Innovation Partnerships (EIPs) launched to boost the EU’s capacity to innovate. 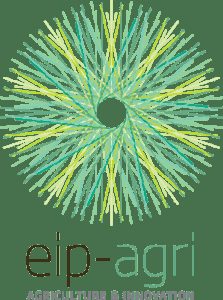 EIP-AGRI focuses on agriculture and forestry. Other EIPs target issues related for example to healthy ageing and smart cities. EIPs are challenge-driven and focus on societal benefits and modernisation. EIPs support cooperation between research and innovation partners in order to achieve better and faster results compared to existing approaches. Link actors in different types of interactive innovation projects such as Operational Groups (OGs) under Rural Development Programmes (RDPs). 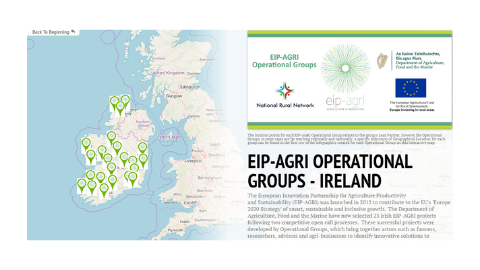 The National Rural Network (NRN) works closely with the Department of Agriculture, Food and the Marine (DAFM) to support and build networks between Ireland’s OGs, as well as research and disseminate information on Ireland’s EIP-AGRI projects. OGs work on projects to advance innovation in the agriculture and forestry sectors. 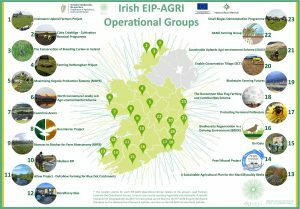 The NRN has developed an Interactive Storyboard Database and infographic of Ireland’s EIP-AGRI OGs. Click on the image below to visit database – or click here to view infographic. Temporary groups of selected experts focusing on a specific subject, sharing knowledge and experience. Focus groups are convened over a 1 to 2 year period and each group must meet at least twice a year. At the end of the period a report is completed. 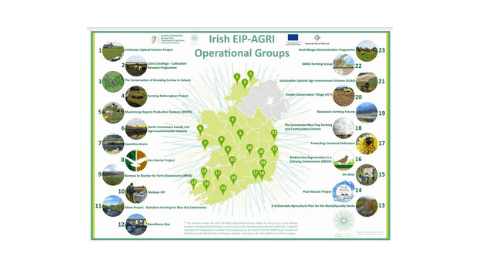 Results and findings of the focus group are published on the EIP-AGRI website. A number of focus groups have Irish representation. Find more detail on these in the ‘Focus Group’ section below. EIP-AGRI Focus Groups are temporary groups of selected experts focusing on a specific subject, sharing knowledge and experience. 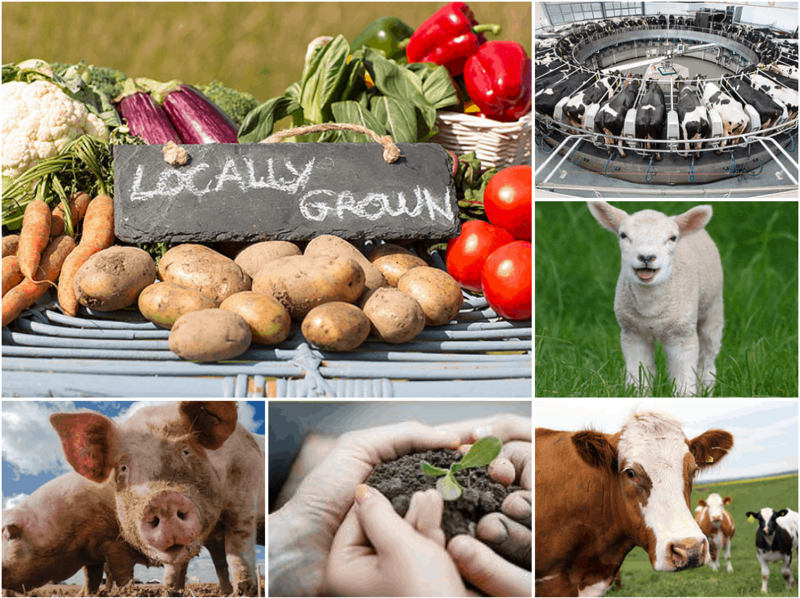 These groups bring together expertise from research, advisors, farmers, and industry. Focus Groups are set up at international level bringing together 20 experts from the agriculture sector. The groups are designed to facilitate knowledge transfer between members, to collect and assimilate knowledge on best practices in a specific area and list opportunities and solutions. Each Focus Group must meet at least twice a year. The Focus Group is convened over a 1-2 year period. At the end of the period a report is completed and the results and findings of the Focus Group are published on the EIP-AGRI website.